Just in time for Easter, introducing one of our newest Webkinz plush pets, the Hoppy Floppy Bunny! Check out this unboxing video, revealing the Hoppy Floppy Bunny in action! 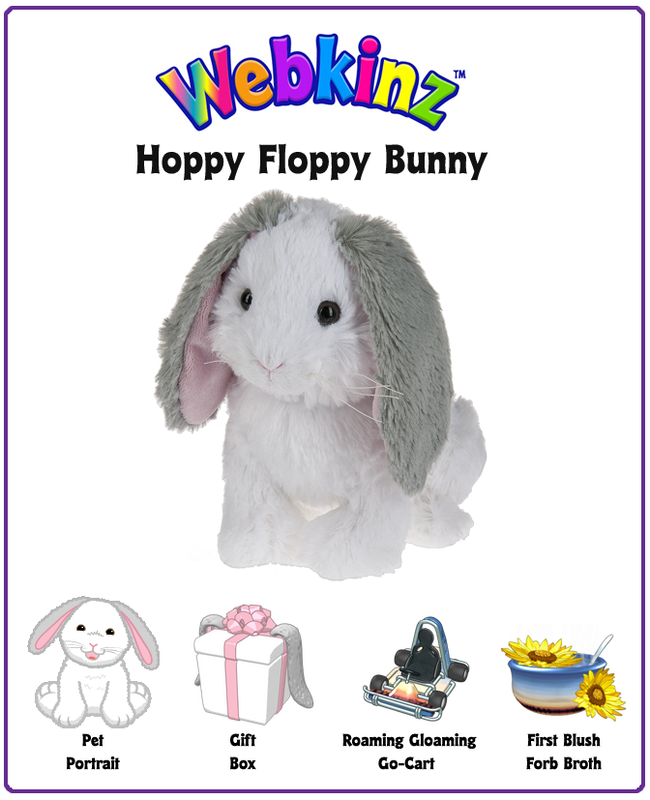 This hoppy floppy friend will make an adorable addition to your child’s family of Webkinz pets! Each plush pet comes with an online avatar and the Hoppy Floppy Bunny also comes with a virtual item, the Roaming Gloaming Go-Cart, and virtual food, First Blush Forb Broth! Looking for a sweet plush pet for your child? ? This and other Webkinz plush pets are now available for order directly from the Ganz eStore!